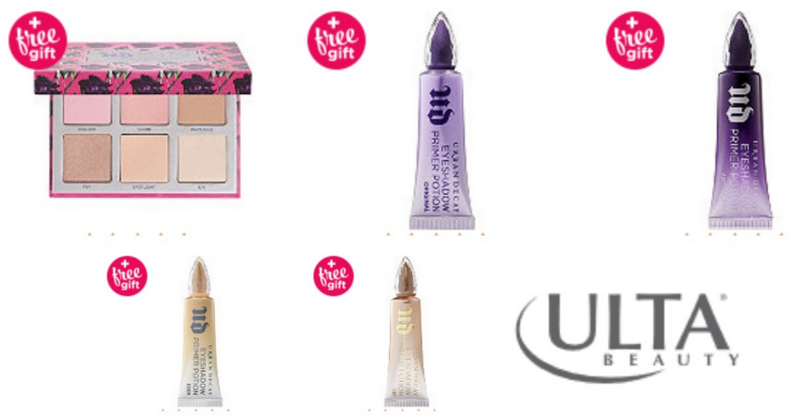 Head over to Ulta where they are offering 50% off Urban Decay Eye Shadow Primers or Afterglow Highlighter Palettes. Get Primer Potion for $12 or a palette for $19.50. Also, if you spend over $35 on Urban Decay, you will get a free 24/7 Glide-on Pencil. Also, use coupon code 610219 to save $5 off your select $15 or more purchase! You can also get a free Ulta Beauty Matte Lip Crayon with any $15 Ulta Beauty Collection purchase (before coupons), no code is needed.